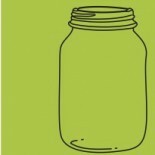 Homemade Almond Milk – Go nuts! I’ve been toying with the idea of making my own nut milk for a while. It’s nice to have total control over what goes into it – and more importantly what doesn’t! A lot of milk alternatives have added oils, synthetic vitamins and carrageenan which aren’t necessarily harmful but aren’t ideal. I finally purchased a milk sack that makes the whole process pretty easy. All you’ve got to do is soak 1 cup of nuts (almonds, cashews, brazil nuts ) overnight or for at least 4 hours and process them with 4-5 cups of water. Then you strain the mixture through the bag (I’m sure cheese cloth would work too) and what you’re left with is a nice dry pulp ideal for baking and the milk – to which you can add vanilla, coconut oil, and/or spices. I love using mine in smoothies for a little added flavour and nutrition. 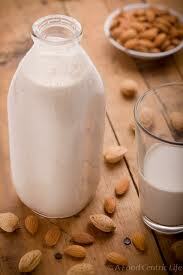 I alternate between the nut milk and rice milk – diversity is key for good health and digestion. To ensure that you’re making the best milk possible use fresh and organic nuts (remember, 1 cup yield a lot of milk so it’s still economical). This entry was posted on May 8, 2011 by katelivingfull in Sweet Recipes.